...And now, just trying to catch up! 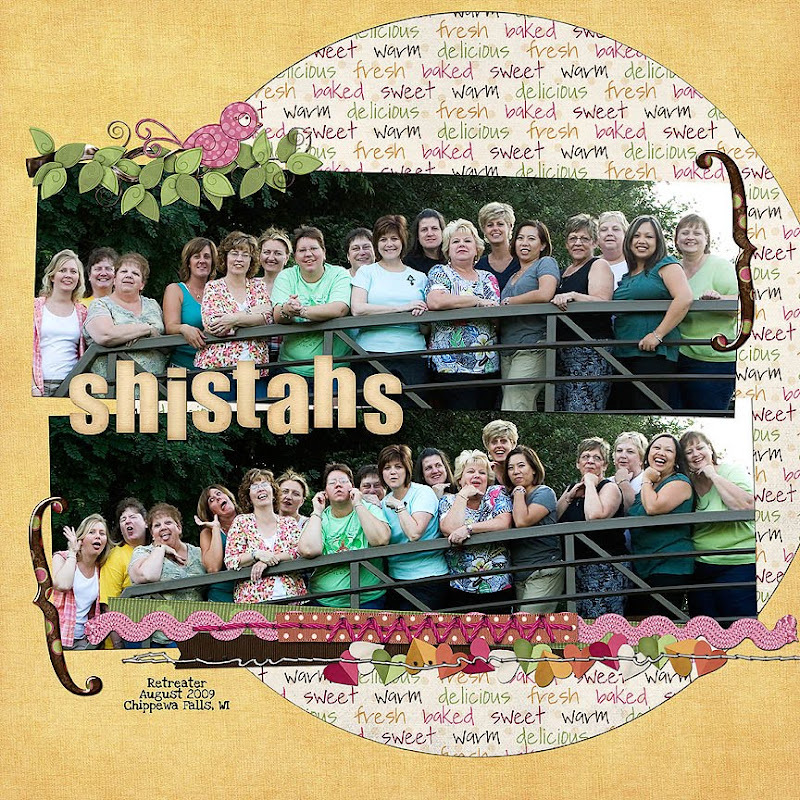 Last weekend I was blessed to spend a wonderful 4 days with friends (Shistahs!) from around the country at a Retreat in Wisconsin. Ahhhh...it was BLISS! I am lucky to call each of these ladies a dear friend. This was our 4th annual retreat, and number 5 is already on the books for 2010! I would not miss it for the world! There are organized classes, as well as time to work on individual projects, and even some impromptu things going on. The "planning committee" always does a FABULOUS job, and there is a ton of fun and laughs all weekend! It is all topped off by wonderful home cookin' by our own personal Chef HB! YUMMA! These photos just make me smile! I had to scrap them! Hope you are having a FABULOUS WEEK! I will be back soon with more to share! Thanks for stopping by! HOLY MOLY! This summer is FLYING BY! Aaaack! Just popping in to say HAPPY SATURDAY! We are off and running this morning, and the Saturday chores are on the agenda. BLAH! I'll have to think of something fun to do as a reward if we plow through all of the chores! 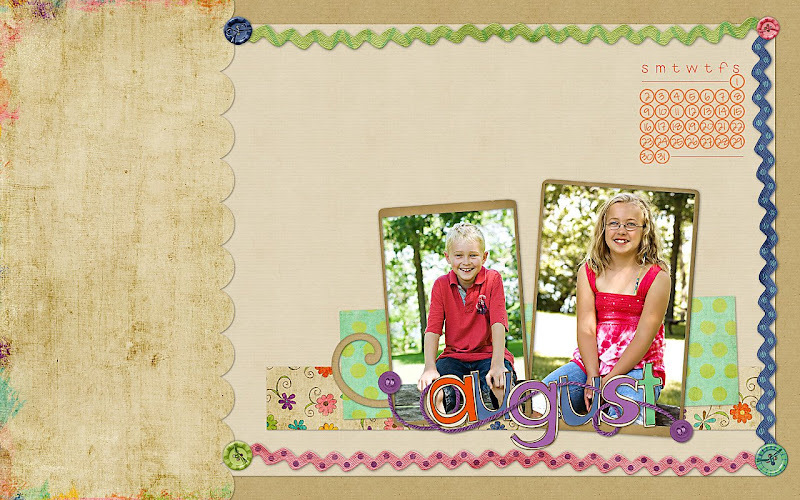 Here is a fresh new August Desktop, free from Shabby Princess (click here to get yours) using her brand new kit Giggle Box - love the fresh fun color scheme! Thanks for dropping by - have a great weekend!